Kinshasa 07-02-2019 Politics - Curiously, there is a kind of cacophony between those who are supposed to focus on the management of the Republic, the five years of the term being no eternity and those who are called to assume , democratically, the role of a republican opposition. 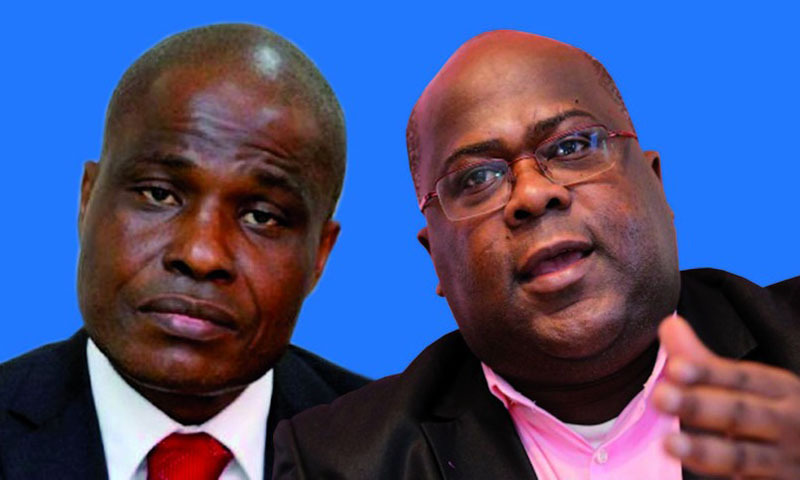 The day after his investiture on January 24, 2019, Felix Tshisekedi and his political party, the Udps, yesterday in the Opposition, have automatically switched to the side of power. Under the weight of the same political trigger, the Lamuka Coalition, with Martin Fayulu at the visible controls, is moving towards the actual incarnation of the new Congolese opposition. Curiously, a kind of cacophony is observed. On the one hand, between those who are supposed to concentrate on the management of the Republic, the five years of the mandate being by no means an eternity- And on the other those who are supposed to assume, democratically, the role of a republican opposition. Indeed, by words and too many gestures, disconnected messages, less thoughtful acts and public demonstrations at loggerheads, these two political camps are far from understanding that they must play the best possible score, not to give the opportunity to those they fought yesterday, to come back in force. Simply because the opposition yesterday, today in power, plunged into distraction, may "pull to the ground ...". The political alternation today new symbol of democracy in DR Congo, should not be a repetitive slogan without any concrete feasibility. It must follow the acts proving the recovery of a state long remained at the bottom of the scale. Certainly, enlisted in the face of fierce opposition for nearly forty years, the UDPS must quickly get rid of its idealism "Combatant" for which she fought and finally grabbed power. The style, the manner and the method by which it arrived there are perhaps to be reviewed but the realism obliges to accept the truth as it is presented, while waiting for the opinion of the real. There must be no question of practicing opposition for the opposition, but in order to one day obtain power. And once obtained, the battle is no longer the conquest of power but its preservation as long as it is necessary, by democratic means of course. The UDPS is now the party in power, but the attitudes of activists still leave place for doubt about their true political affiliation. The warm blood that animated them, to explain all the popular and political attempts of the preceding regime, still boils in them, visibly.